Do Wearables Actually Advance Corporate Wellness? A lot of people are looking at their wrists these days and the gesture usually has nothing to do with checking the time. Instead, they're consulting their wearable device to find out how many steps they've taken, stairs they've climbed, calories they've burned or even their blood pressure. And it's not just the fitness fanatics donning these digital bracelets sold by companies such as Fitbit, Jawbone, and Apple. The technology is being used by people at various fitness levels to monitor and track their activities, in hopes of improving their overall health. A lot of consumers are also comparing their results with friends, family, and coworkers, for a little friendly competition. In fact, wearables have become so popular that many organizations are incorporating the technology into their health and wellness programs. Some companies are even offering free devices to their employees, challenging them to not only monitor and track their own fitness levels but also stack them up against colleagues, in turn inspiring entire teams to be more active. It's a bonus for organizations considering the growing body of research showing more active and healthy employees are also more productive and are less of a strain on the overall cost of providing health care services. Like most technology, there are some wearables detractors. The devices have been criticized for being inaccurate in their readings and not able to truly measure the activity levels of the user. There is research going on in areas related to wearables such as the role of biosensors in self-regulation of health behavior. That includes how biofeedback can enhance self-regulation in areas such as exercise and calorie intake. There are reports that even just wearing these activity monitors on our wrists is having a positive influence on health and wellness. This is inspiring people to get up and move around, regardless of whether the results are 100 percent accurate. Having a constant reminder on your arm is a very powerful motivator that may be even more important than how accurate the results are. At the University of British Columbia, there is a workplace wellness program called Up and Go, which uses the Barq mobile messaging app. So far, the results show people are logging into websites within their workplaces to create corporate challenges, which in itself brings merit to the technology. What's more, the information doesn't need to be made public to have an impact. That's important, since many wearers may not be interested in going public with their results, especially if they already feel like they don't do enough exercise. The key is to motivate employees at their own pace, in a way they're comfortable with. The biggest potential attraction for employers is that, as studies show when you have healthy employees you have less absenteeism and more productivity. Engaging with employees using wearables is also a benefit because it shows them that their company is investing in their health. It also increases engagement among employees who connect around activities while using wearable technology. Because the majority of our day is spent at work, it's good that the employer recognizes that they are concerned for employee health. Corporate wellness is becoming a social responsibility. While wearables are popular now, there have been questions as to how long they will last or if they are just a trend that will pass. Many of us know someone who was obsessed with his or her wearable device at first, but it now sits in a drawer unused. Some organizations may be reluctant to invest in wearables as part of their corporate wellness programs as a result of this potential for loss of interest. While wearables have some fad-like qualities, many believe they're here for the long-term. These researchers argue that as the technology improves, and become more accurate, the number of people wearing them around their wrists will grow. But for wearables to remain relevant and influence behavior, they have to work when and where the users want. A recent study published in the Journal of the American Medical Association, which studied 471 individuals aged 18-35 who wore a wearable device, found that after two years, weight loss was about five pounds less among those in the wearable devices group compared with subjects in the standard group (who used a website as a control). Researchers concluded that devices that monitor and provide feedback on physical activity may not offer an advantage over standard behavioral weight-loss approaches. In my opinion, the most important thing is for there to be a return on investment before the honeymoon period ends. Wearables have to work from the start and provide value for the wearer to continue using the device. If they don't get results, they won't continue to use it. This could be feeling more motivated to walk to work and other positive lifestyle changes that have health benefits much larger than weight loss, which is really only the icing on the cake. Biofeedback and the rapid progress around this type of technology will likely keep wearables in the function over fashion category, which will give them staying power for years to come. This is because the feedback is more individualized and can be more influential than generic feedback. According to Jeff Goreski, BA, PBGD Dip-Health Promotion, MA, Gerontology/Health Promotion and Implementation Manager at CoreHealth Technologies, wearables do have a role in workplace wellness programs and although they may not be 100 per cent accurate, they are a better reflection of an individual's activities compared to self-reporting. "Wearables can make engagement in any workplace wellness initiative less cumbersome and more fun by automating the tracking aspect of their activities. The bottom line is that wearables are here to stay and regardless of any research showing that wearables may not be beneficial, this type of technology is still in its infancy stage. As wearables technology advances, so too will the accuracy of the devices and the amount of information collected, which offers many positive outcomes." Personally, I view wearables, and the growing trend of a gathering of data on our bodies, as just the first step in what will be a rapidly increasing wearables world. The true revolution will be when biosensors, coupled with intelligent software, allow us to fully understand what our bodies are doing at all times. Someday, for example, we'll be able to know everything about what we eat and how it is impacting us, even as we are digesting the food. It will create a dramatic change in the choices we make in our daily lives, for the better. Once the data collected through biosensors transforms to instant information beyond data, the wisdom will allow us to make more informed and proven choices about what we eat and how we move - and how often. This will be a change for the better, for individuals, and society as a whole. 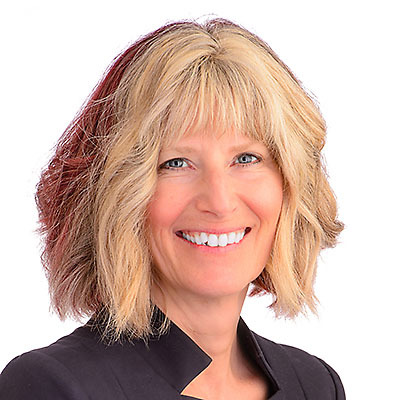 Anne-Marie Kirby, as Founder and CEO of CoreHealth Technologies, is at the forefront of health and wellness innovation and develops a sophisticated corporate wellness technology platform for organizations.